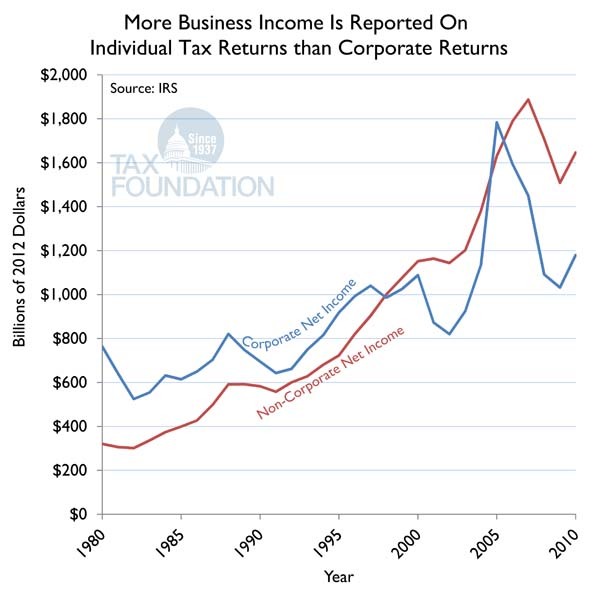 Because of the remarkable growth of pass-through businesses over the past two decades, there is now more net business income reported on individual income tax returns than on traditional C corporation returns. 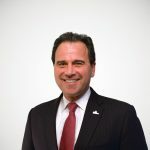 The U.S. Treasury has estimated that as much as 40 percent of all business taxes are now paid on individual tax returns rather than on corporate tax returns. It is interesting to note that passthrough business income tends to be far more stable than traditional corporate income. Since the peak of the last business cycle in 2006, non-corporate income has fallen by just 8 percent, while corporate income has fallen off by 26 percent.